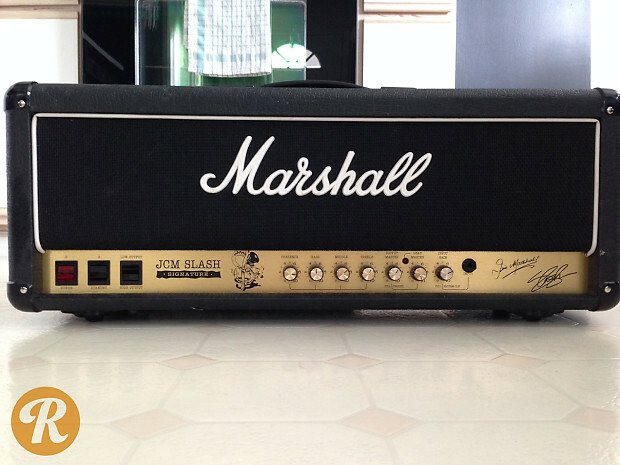 Gun & Roses guitarist Slash’s signature Marshall was designed to the exact specs of his 1987 Silver Jubilee 2555 used on Appetite For Destruction. The 2555SL was produced in a limited run of 3000 in 1996 and never brought back, so the collectibility of these 100W heads continue to rise. 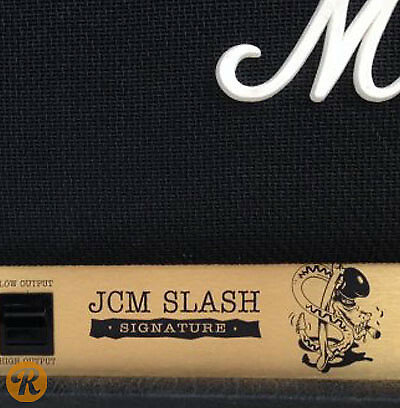 A few notable functions include a foot switchable lead control, push/pull input gain control, a half-power switch (100W-50W), a direct output, and signatures of both Slash and Jim Marshall.